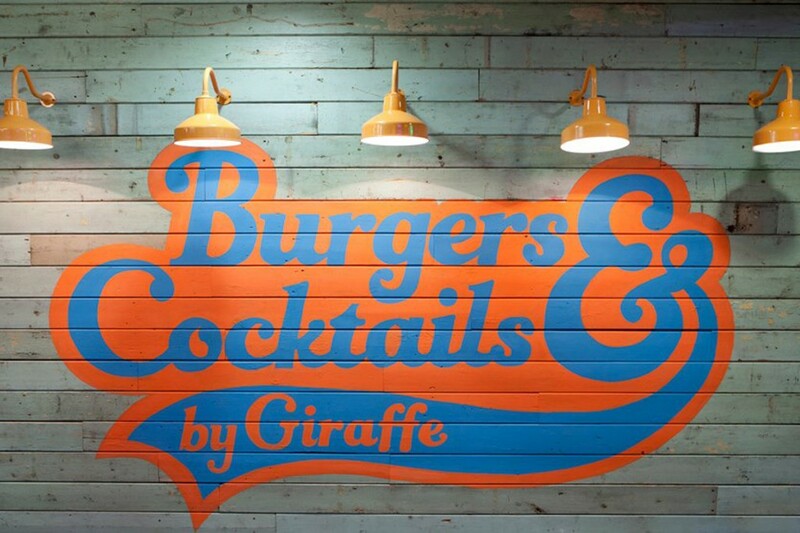 Located inside the Xscape extreme sports centre in Yorkshire this Giraffe venue is a one-off, vibrant concept. into were consultants to interior designers Harrison in producing a lighting design that met with this design brief. The space is double-height with a bare industrial ceiling. 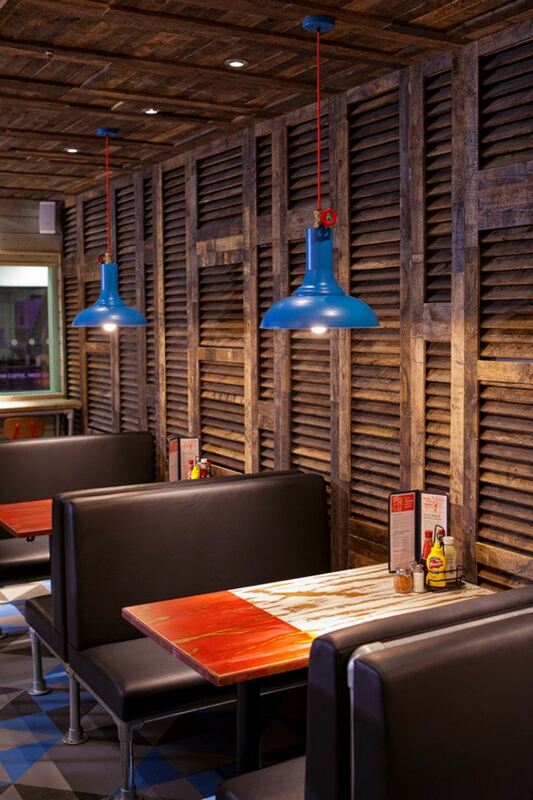 Long black spotlights are clamped onto exposed metal piping over the main bar area in the centre of the restaurant. 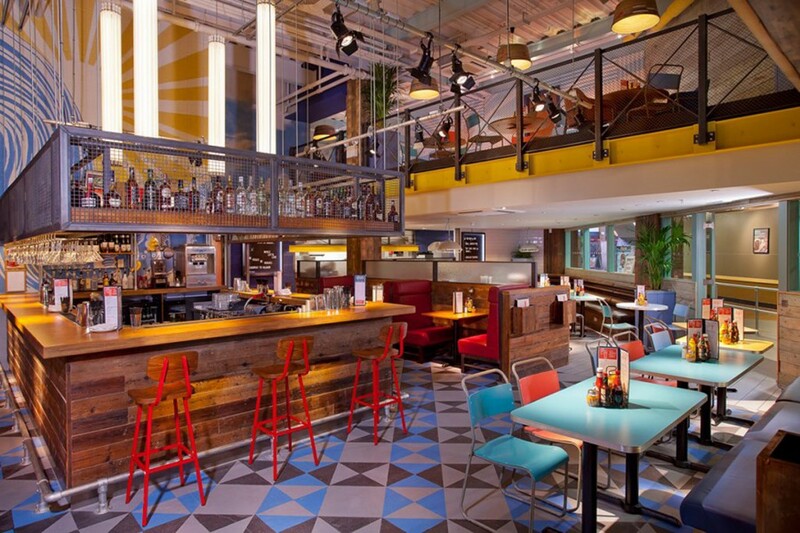 Feature pendants hang over tables in the seating areas to the right and left of the bar and reflect on the bright and funky styling of the space. 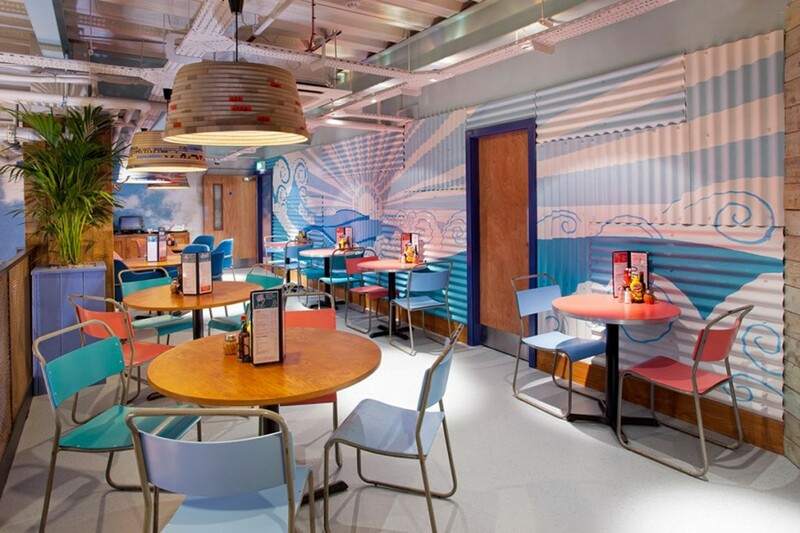 The lighting design meets with the styling of a unique and quirky restaurant concept. 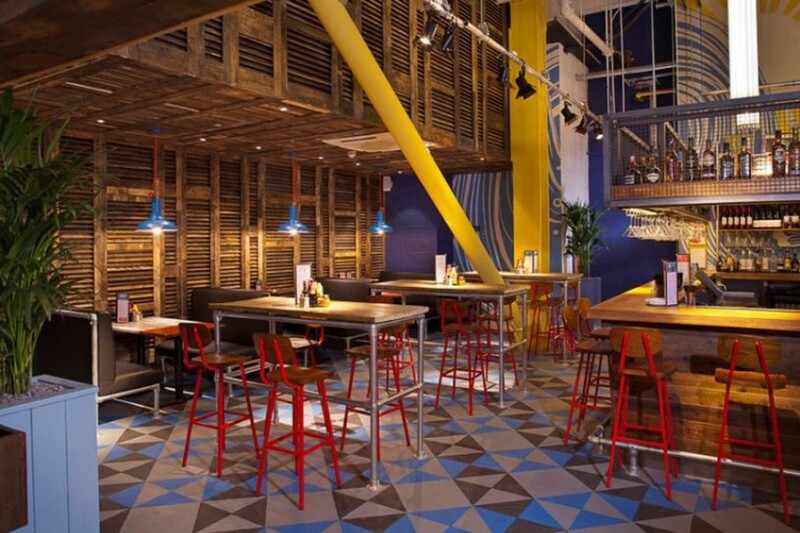 The venue was a winner at the 2013 Restaurant and Bar Design Awards for ‘Best Restaurant/Bar in Another Space’.